Brian Hughes has been involved with Child Evangelism Fellowship since Grade 2 when a CEF missionary shared the Gospel with him. Later, Brian served as a teenage summer missionary through CEF’s Christian Youth in Action ministry. From 1989 to 1993, he served as a missionary with CEF in Arizona. Brian has served as a public school teacher, an associate pastor, and our own Children’s Ministries pastor before becoming the Director of the Every School Project for CEF, first serving the Plano, Richardson, and Allen areas, and then the state of Texas. He is now the CEF Director in Phoenix, Arizona. Brian is also involved in teacher training and professional clowning. 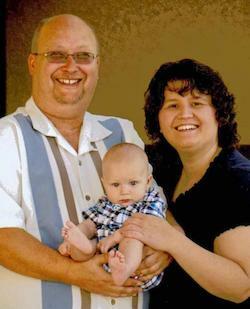 In 2008, Brian married Michelle Stevens who now works with him and CEF. Their son, Bryson, was born in 2013.